What have been the highlights for Homegrown in 2017? Well, at the beginning of the year we successfully raised seed funding for the business, in part through the crowdfunding platform Seedrs, which has enabled greater investment for the business to grow. And in the second half of the year, I have been really pleased with the amount of positive press coverage Homegrown had received. I believe this is a reflection of a growing interest in the business but also our model, and specifically the concept of investing in building property rather than holding it and renting it out. What inspired you to start the business in the first place? I absolutely love the concept of crowdfunding. When we first conceived the original idea for Homegrown, the concept of crowdfunding was very young in the UK, but it was already evident that it had the potential to change the way people invest in property. I knew that high net worth and institutional investors were actively investing large sums of money into property development, but given the sums involved these opportunities were not available to most investors. But, crowdfunding could change that. Why do you think Homegrown is different? Firstly, we are investing in property development. Investors can own a share of a development, and at the same time raise funds for experienced small and medium-sized developers. In the past a lack of funding has acted as a barrier to these developers building more homes. Secondly, location. We have seen strong demand for our development opportunities in London and the South East, where there continues to be a significant shortage of homes, so we focus on those areas. What are you looking forward to in 2018 for the business? Overall, we are aiming to continue the incredible momentum from 2017 into the new year. I am excited to meet and work with a wide range of new developers and increase the number of projects – so exciting developers and exciting developments! We are also looking forward to our first exit, for our very first project on the platform, which is currently on budget, a couple of months ahead of schedule and making great progress with off plan sales. It is due to complete in summer 2018, so not long now. And finally, how will you be celebrating this New Year’s? Well I have 2 young kids so I’ll probably be asleep before New Year! 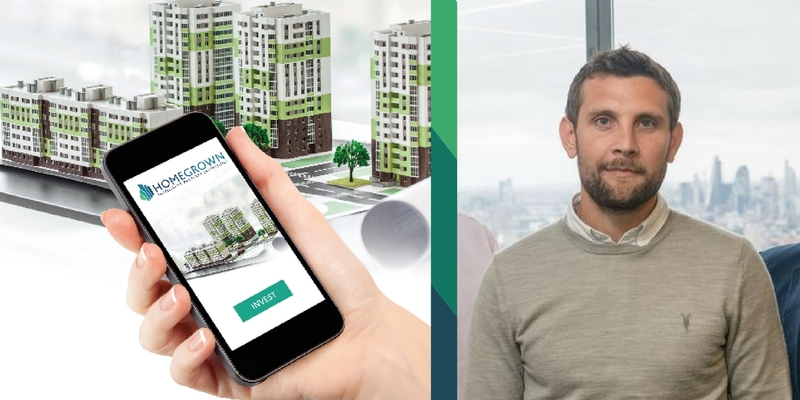 Homegrown is a property crowdfunding platform, which provides all types of investor with the opportunity to back UK residential developments, by investing as little as £500. Homegrown uses both equity and mezzanine loan investments to fund property developments. If you would like to find out more, you can sign up for updates or contact one of the team at info@homegrown.co.uk. Your capital is at risk when you invest in property. For more information see our full risk warning.